Herbert Christ has been a Fire Safety Educator at Kreisfeuerwehrverband Gotha – the County Fire Association of Gotha, in the state of Thuringia – since 1999. 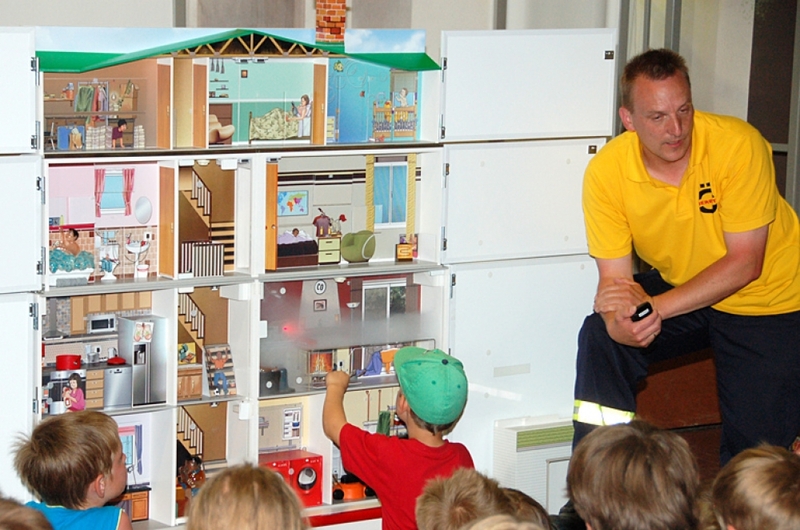 His organization mainly teaches schools and kindergartens about the basics of fire and energy safety, using the Modeltech Hazard House as a presentation tool. The County Fire Association of Gotha works closely with state associations, and Herbert Christ has long been Chief of the Kreisjugendfeuerwehr Gotha – the County Fire Association for Young Firefighters. Similar to the Air Cadets or Boy Scouts, the Association helps youths 6 to 18 years old from over 1,000 schools achieve personal growth and build self-esteem through competitions and workshops. See our new video from Gotha Fire Department, Germany.